SRA Home Products offers sunrooms, pergolas, basement finishing systems, and numerous other products from industry-leader TEMO to enhance the homes of residents in Sewell and Cherry Hill, New Jersey, and throughout the surrounding area. We’re a second generation family-owned and-operated company trusted by local homeowners since 1988, and since our beginning we’ve maintained an unwavering dedication to providing all of our customers with the best products available, the highest level of craftsmanship, and outstanding customer service. This dedication has driven our success and helped us become the leading provider of sunrooms, patio covers, screen rooms, basement finishing systems, and other TEMO products in the Delaware Valley. At SRA Home Products, we install products designed to enhance your home’s appearance and provide you and your family with attractive living areas that add value to your residence. TEMO sunrooms and other outdoor living structures are manufactured with durable materials and are coated with a special polymer surface to block UV penetration and resist scratching, fading, and denting. 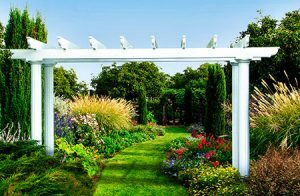 This means these structures will maintain a terrific appearance and provide years of enjoyment without subjecting you to the maintenance demands many other similar products require. Plus, all of the structures we offer meet or exceed International Building Code standards, so you can trust in their excellent construction, and they are all backed by TEMO’s industry-best lifetime warranty, so you can rest assured your beautiful new addition is protected. When you turn to SRA Home Products for a patio cover, screen room, outdoor cabana, or any other structure, you can be confident that your investment will result in the creation of an area to enjoy where every day is a vacation – and that you will be able to enjoy it for years. SRA Home Products offers complete solutions to various home improvement needs for homeowners in Sewell and Cherry Hill, NJ, and other communities throughout the Delaware Valley. 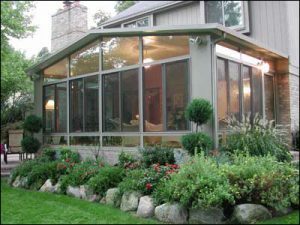 We offer outdoor living products like pergolas and patio covers when you need UV protection, sunroom options when you want to enjoy the outdoors from inside the comfort of your home, and even indoor home improvement solutions like basement finishing systems when you want to transform an underutilized area into additional living space. No matter what type of home improvement you have in mind, you can count on our professionals to provide exceptional service every step of the way. During your free at-home design consultation, we will discuss your needs and present you with a solution that will provide the results you’re looking for. Then, we’ll assign a project manager who will serve as your point of contact throughout the project, oversee all aspects of the job, and ensure everything remains on schedule. When it comes time to remodel your basement or install your new pergola, sunroom, screen room, outdoor cabana, or other structure, we’ll send our background-checked, factory-trained, and factory-certified technicians to complete the work. It’s this kind of commitment to customer service throughout the entire process that has helped SRA Home Products earn numerous accolades, as well as an A+ rating with gold accreditation from the Better Business Bureau.